in ALL caps: Bicycles make such sweet music! This is a little short and sweet post. This is a song I first bought on music download site Stompy, and felt the need to share it with the world. Well, the world that views our site. Which I know is huge! 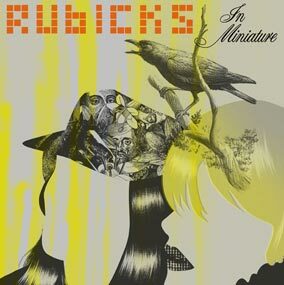 So this group is called Rubicks. They're an odd group, mostly making pretty kitschy rock cuts. This cut, however, is a very uplifting sort of downtempo track called "Bicycle Boy". It was featured on the weird-house label U-Freqs. If you really wonder why I call it weird house? Well, check out Stompy and just take a listen to some of their stuff. Here's a small sample of Big Hair on the U-Freqs label. But I digress. So back to the superfantasticalawesomeness of this track. Seriously? One sick track I think everyone here should go grab.